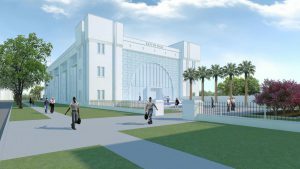 The Citadel will recognize the college’s 175th anniversary with the traditional military pageantry and devotion to leadership development for which it is celebrated. The activities begin March 20, 2018, with the distribution of commemorative medals to every cadet on the day 175 years ago in 1842 when the first cadets reported to the original Citadel campus on Marion Square. The tributes conclude with the iconic march by freshmen in their brilliant white dress uniforms from the Lesesne Gates on campus, to Marion Square. There, the freshmen attend The Oath Renewal on The Citadel Green, finalizing their recognition as members of the South Carolina Corps of Cadets before their families, friends and hundreds of onlookers packed around the square. “Those of us leading the South Carolina Corps of Cadets learn many positive lessons from the men and women who have gone before us here. It is a privilege to follow in the footsteps of so many generations of Citadel alumni who have served or are serving our nation, state and our communities as principled leaders,” said South Carolina Corps of Cadets Regimental Commander Cadet George “Dillon” Graham. Members of the Washington Light infantry (WLI) will visit The Citadel campus on the actual day of The Military College of South Carolina’s 175th Anniversary, March 20. Following the 11a.m. parade practice, members of the WLI will be at the entrance gates of each of the five barracks to present commemorative medals to every cadet. The Washington Light Infantry (WLI), organized in 1807, is one of the nation’s oldest militia units. Anticipating a second war with Britain, the citizens of Charleston planned for a number of volunteer corps, one of which was the WLI. The group has existed ever since, with much of its membership coming from The Citadel. In addition to serving its country in every military engagement, the WLI had the honor of participating as a military unit in centennial celebrations and ceremonial parades around the nation. Volunteer corps like the WLI are not generally long lived, but this corps, combining social and military features, is marked by extraordinary vitality. The Citadel’s Principled Leadership Symposium is an annual event held in conjunction with Corps Day Weekend each year for the South Carolina Corps of Cadets, The Citadel Graduate College students, visiting student delegates, the campus community and the Charleston community. The 2018 symposium held March 22 -23, will feature speakers, panels and cadet presentations in support of The Citadel’s 175th Anniversary which is Tuesday, March 20, but will be celebrated all week. The first Principled Leadership Symposium was held in 2008. 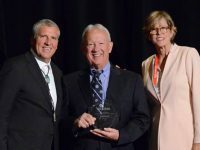 It has become a signature event for the college and The Krause Center for Leadership and Ethics. The center is the college organization focused on enhancing leadership development and ethical growth at The Citadel. Panels with leading influencers in the areas of business, education, engineering, humanities and social sciences, and science and mathematics. 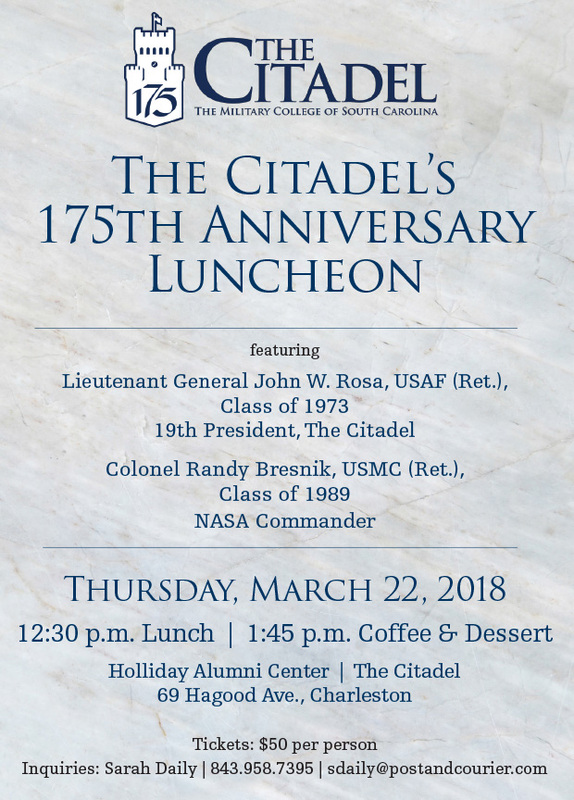 The Post and Courier is sponsoring a luncheon to recognize The Citadel’s 175 years of leadership and service to Charleston and to the nation. 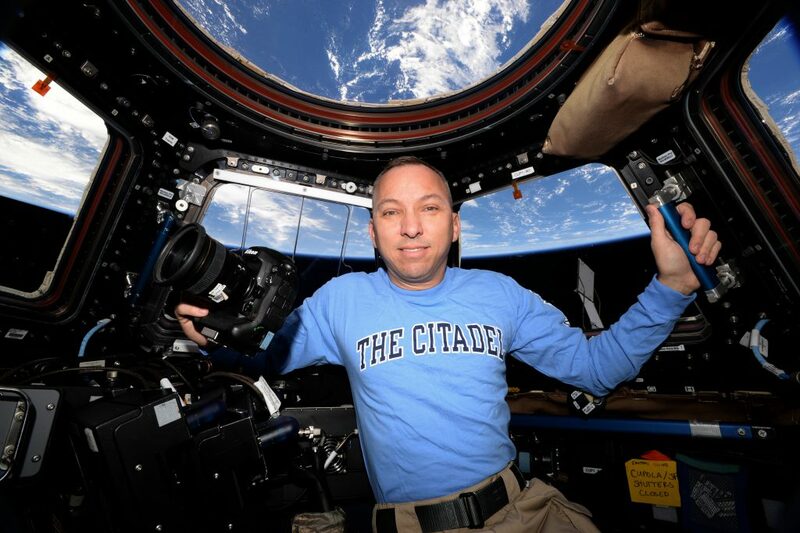 Speakers at the ticketed event include The Citadel President, Lt. Gen. John W. Rosa, NASA astronaut and Class of ’89 alumnus, Col. Randy Bresnik, and the Regimental Commander of the South Carolina Corps of Cadets, George “Dillon” Graham. Bresnik’s presentation will include an opportunity for attendees to ask him questions about recently commanding the International Space Station. The luncheon will be followed by a coffee and dessert meet and greet and photo opportunity with Rosa, Bresnik, and Graham. Tickets can be purchased through The Post and Courier for $50 per person on their website, by calling (843) 958-7395, or by emailing sdaily@postandcourier.com. 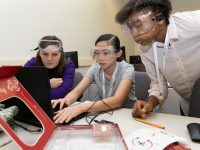 The Citadel School of Science and Mathematics hosts the 11th Annual Citadel Academy of Science and Mathematics Awards Banquet on March 22 at the Charleston Marriott. The banquet honors the academic accomplishments of exceptional cadets and students, outstanding faculty and distinguished alumni. Cadets and students honored at the banquet will include Cadet James L. Andrus, Jr.; Cadet G. Dillon Graham; and J. Judson Riser. Citadel alumni to be honored will include brothers David Swain and Christopher Swain, M.D. ; Michael Johns, Ph.D.; and Maj. Gen. James Duckett. Citadel faculty to be honored include Isaac Metts, Ph.D., and Katherine Zanin, Ph.D.
Tickets to the banquet are $100 and can be purchased by emailing ssm@citadel.edu or by calling 843-953-5300. 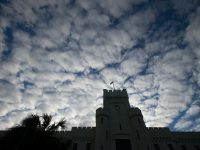 To view The Citadel’s news release on the banquet, please visit The Citadel Campus Newsroom. A presentation in remembrance of Joseph Shine will take place on March 23 in Summerall Chapel. In 1967, Shine became the second African-American cadet to matriculate to The Citadel (after Charles Foster in 1966) and the only African-American member of the Class of 1971 South Carolina Corps of Cadets. 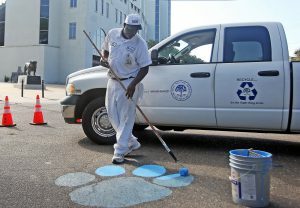 More than 50 years after his matriculation, The Citadel community will gather to reminisce about Shine and describe the perseverance and class unity it took for him to complete knob year to join the Long Gray Line with them. 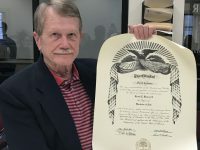 Speakers at the event will include two of Shine’s Kilo Company classmates, Jim Lockridge and Tip Hargrove, as well as Larry Furguson, Ph.D., Class of 1973. Recognition Day is a monumental event in the life of a member of the South Carolina Corps of Cadets. For freshmen, known as knobs, it means the end of the highly regimented way of life that is The Citadel’s Four-Class System known as one of the most challenging military college training systems in the country. 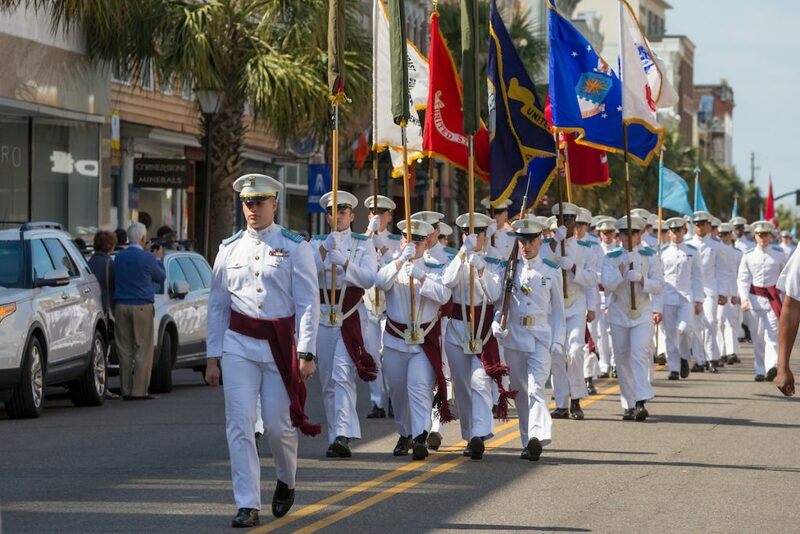 The day includes open barracks for visitors, a dress parade, rigorous physical training tests and other activities, which are crowned by one of the iconic sites of Charleston – the Recognition Day March to Marion Square. First, cadets depart from campus greeted by hundreds of people lining the streets to cheer them on. While they are marching, The Citadel Regimental Band will perform “The Citadel Story” for the audience at Marion Square. The story includes music, a reading, and cadets wearing recently restored period uniforms from every war in which Citadel men and women have fought, beginning with the Mexican-American War. When the freshmen arrive, they will attend “The Oath Renewal on The Citadel Green.” The oath marks their transition to officially becoming members of the Corps. The green at Marion Square was the original parade ground for the college, in 1842, next to the college’s original structure that is now the Embassy Suites. The march follows three weeks of transition to recognition training during which the freshmen take classes examining student ethics and leadership skills and the honor code. They also undergo inspections and drills training. The Citadel’s yearlong commemoration of the 175-anniversary celebration launched in the fall of 2017 with the unveiling of the winning poster from an anniversary design contest at the first home football game of the season.